Let’s meet soon to discuss your vision of the perfect day! I have a Range of Options offering the Convenience of one-stop shopping. Photographers, Videographers, Our Dj’s, Photo Booth, Event Enhancements and more. Spectrum Sound is revolutionizing the role that DJs provide at wedding functions. Complete Wedding and Event Production – DJ Entertainment, Photography, and Videography Services. Ensure that your day is seamless and stress-free. Are you concerned about hiring entertainment that doesn’t reflect your personal musical tastes? Do you worry that you will have to micro-manage your chosen wedding professionals on your special day? 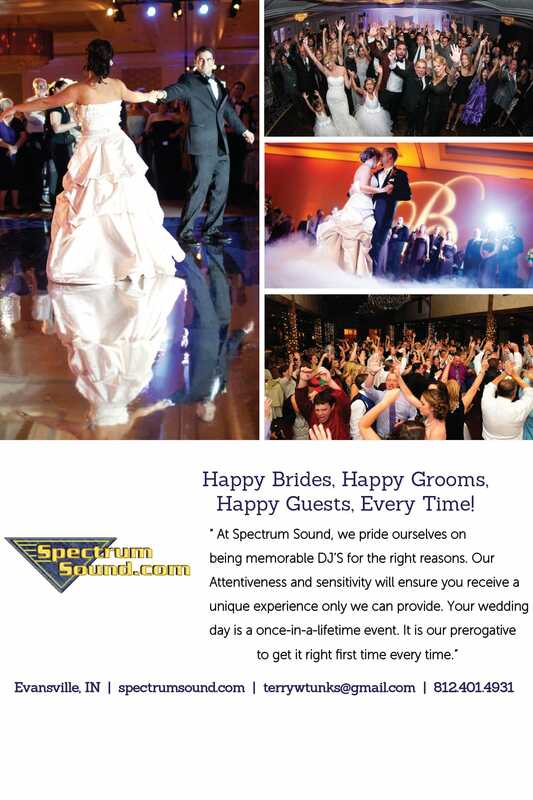 Spectrum Sound takes pride in being reputable professionals who deliver an unbeatable DJ service. We have changed the expectations of wedding parties and event planners for whom we have worked. Spectrum Sound provides a breakthrough service. We have built up an impressive reputation due to our attention-to-detail, sensitivity, and considerable work ethic. We pride ourselves on being memorable DJs for the right reasons. We genuinely care that you are satisfied with the unique experience that we provide. Spectrum Sound delivers a comprehensive service that makes us unique. However, we offer so much more. A business that describes themselves as unique may sound predictable. However, we have reliable and extensive experience that adds credibility to these claims. We have built a diverse client base who recommends us because we are conscientious, responsible and reliable. We have earned numerous glowing references. Clients wowed by our innovative solutions to complex requirements. Our extensive effort to achieve the nearly impossible is evident to all who choose to use our services. What makes Spectrum Sound Unique? Experience We have provided our services for 30+ years, which means that we have seen it all. We can facilitate the most unusual of requests and comprehend any potential problems and address them. Collaboration We work with your other hired professionals (photographer, caterer, venue manager, etc.) to create synergy so that the day flows seamlessly. Details and Planning We will meet up with the prospective bride and groom several times to discuss arrangements and ensure clarity. We even visit the venue that allows us to visualize the setup and to make sure that nothing is overlooked. Unique and Personal Spectrum Sound do not believe weddings should be a generic experience. Each wedding should reflect the personality of both the bride and groom. We make an extra effort to address the most challenging of requests, ensuring that your wedding is a personal, tailor-made occasion. Within Budget Sometimes, it is up to you to lower your expectations to ensure your budget is met. Spectrum Sound are innovative and flexible, which guarantees we can design a cutting-edge program that does not exceed your budget. Feel free to discuss your budgetary concerns at our meeting. Spectrum Sound is renowned for providing an unforgettable experience. Most of our new clients have occurred through recommendations from other satisfied customers. We believe that this is a testament to the high-quality experience that we provide. Why do people trust Spectrum Sound? Hire Credible DJs: we have performed for numerous events and have an outstanding reputation for providing cutting-edge entertainment. Reduce Stress: we are reliable, experienced professionals who are hard-working and highly organized. Tailor-made Experience: We provide a unique, individual experience for each customer that satisfies their requirements. Create Synergy: we collaborate with your photographer, caterer, venue manager and more to ensure a cohesive wedding experience. Gain Excellent Customer Service: we are highly responsive to communication with clients and work hard to address your needs. Unbeatable Value: Our services are cost-effective without compromising on quality. 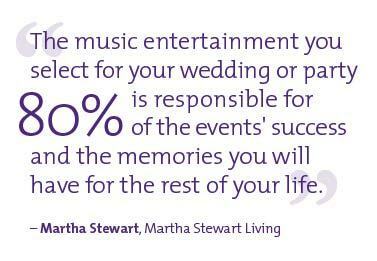 Do not miss out on this cutting-edge entertainment for your wedding! Spectrum Sound’s extensive experience and comprehensive service make us highly sought after. Please ensure that you book your date in advance to avoid disappointment. We have felt a deep sadness in the past when having to turn away potential clients who just fail to book months ahead. Ensure that doesn’t happen to you, and you gain the wedding that you deserve. Contact 812-401-4931 now to avoid disappointment. If you have any questions, feedback, or would like to know more, please do not hesitate to contact me. Complete Wedding and Event Production – DJ Entertainment, Photography, and Videography Services. Your Solution to Ensure, your Special Event, is an Enormous Success! DJ Terry Tunks and his talented team of Dj’s have entertained at many thousands of wedding receptions and events over the years. Evansville, Indiana, Newburgh, Indiana, Owensboro, KY and across Southern Indiana and Kentucky. In towns like JASPER, NEW HARMONY, FERDINAND, FRENCH LICK, WEST BADEN, HUNTINGBURG, AND SANTA CLAUS, IN. Based at one time in Louisville, KY because of sponsorship of Coca-Cola. SPECTRUM SOUND is just as comfortable entertaining small groups at a casual affair to 18,000 at the THUNDER OVER LOUISVILLE DERBY CELEBRATION. Spectrum Sound Serving as a DJ/MC/VJ, Lighting and Sound Technician, Event Planner Coordinator. Your Facilitator to Ensure, your Special Event, is an Enormous Success!